Above is a pic of my new album which I’ve just released on my own label, Bzangy Records. Originally, it was slated to come out on Ninthwave Records but they had to shut down recently. 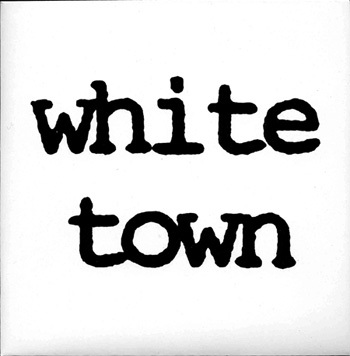 The first White Town single came out on my own label, Satya Records, way back in 1990. 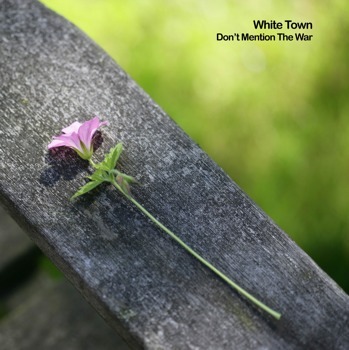 If I hadn’t released that single, I would never have had any records out on Parasol or any of the other indie labels I’ve worked with over the past sixteen years. Come to think of it, if I hadn’t taken the big risk of ploughing £800 into 1000 7″ singles, I doubt I’d ever have got to release ‘Your Woman.’ So, I wouldn’t be a professional musician now. There is nothing like the feeling of holding a record you’ve released yourself in your hands. I can honestly say, it’s more exciting than having a number one. More exciting than getting gold discs. Admittedly, I’m a bit more DIY than the average indie musician: on this album I’ve written, performed and recorded everything. I also mastered the CD and did all the photography and graphics layout. Basically, I did everything up to the pressing. But I was quite willing, initially, to have it come out on another label. When Ninthwave fell through, I did think of shopping it round other indies. Then I thought of the endless delays, the indecision, the waiting… and I couldn’t be arsed. I wanted this record to come out in 2006 and the only way that was going to happen was if I did it myself. Again, it’s a question of how you view your life. If you’re a musician, do you wait your entire life for permission from a major corporation to make music? Or do you realise that you need no-one’s permission but your own. If you make music, do gigs, release records / mp3s or any combination of the former, you’re a musician. You don’t need a record contract to tell you that you are. It’s never been easier to record music and find some form of audience for it. With social networking hubs like imeem and YouTube, you don’t even need to be a geek like me to get your music or vids on the net. I find it extraordinary that here, in the 21st century, musicians still have a 20th-century mindset. There are talented musicians and songwriters all over the world who’ve spent years learning their craft. They’ve spent hundreds of hours noodling on their guitars or tweaking their plugins. They’ve gigged and recorded, putting everything into a few songs they lovingly burn onto a CDR. But then what do they do? They send off their heart’s work to corporations who don’t care about art, only profit. Then, when they get rejected by these companies, they become dis-heartened and think that, in some way, this must mean that their music is not worthy to be heard. Hello? Have you looked at the charts, single or album, in the last year or two? It’s wall-to-wall bland, corporate shite. Fake “organic” singer-songwriters next to manufactured indie/emo bands next to reality TV puppets. If you get turned down by a major label, it’s a good sign you’re doing something right, not wrong. If you’ve spent all that time and effort, why don’t you go the last yard and put out your own CD? If you can’t afford that, why not form a CDR label and do small runs that are hand made, making them totally personal and unique? Stick your CDs (or CDRs) onto CD Baby and they’ll even put it onto iTunes for you. That means that people all around the world can hear your music and buy it, simply by looking you up in the (currently!) most popular online music shop. I’m often asked by people to evaluate their music for them. I try to help out where I can but I do find it strange. What does it matter what I think of their music? What does it matter what anyone thinks apart from the artist and their audience? In the 20th century, the path between artist and audience was cluttered with middlemen, all taking their slice of the pie. Labels, publishers, managers, engineers, producers, graphic artists, video makers – everyone got paid from what the artist earned. In that century, the artist had to co-operate with this because there was simply no other way for them to reach their audience. In many cases, the artist would never have had an audience in the first place without the work of those people, publicising their music through the old, rigid media. That’s all changed. If you have the will to do it, you can do everything yourself. Or you can do whatever you want and find other independent artists to help you with your graphics / video / whatever. You can reach mass audiences from your garage or bedroom studio. You don’t need a record contract, you don’t need lavish video budgets, you don’t need recording studios equipped with ridiculously over-priced gear. All you need is an idea and the persistence to make it real.